Our iPhones contain so much of our personal information, one might even say our iPhones know more about us than we ourselves do. Sensitive information such as our browsing history, calls, messages, photos and account information can be found on our iPhones. You might look for ways on how to reformat iPhone, because you need to make a fresh start of your iPhone or you need to give away or resell it. No matter what purpose is to reformat iPhone, here you will find the most efficient and the safest method to reformat your iPhone or iPad. What most people don’t know is that even when you delete these sensitive bits of information, the files stay hidden on your iPhone and if a cybercriminal gets their hands on it, your information can be recovered. 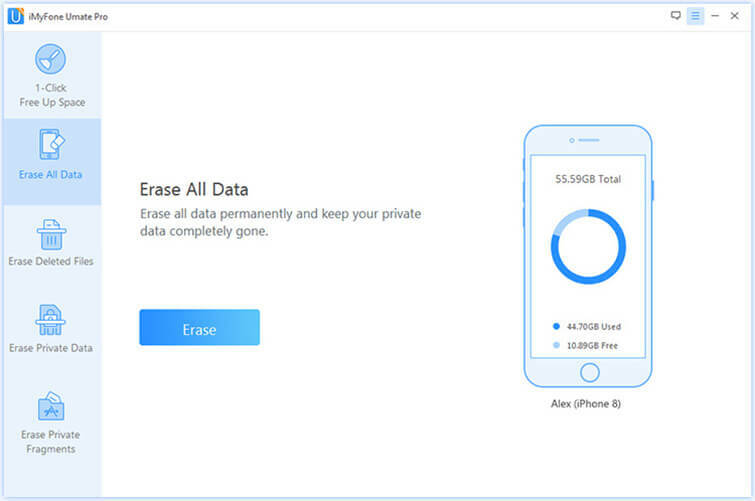 Fear not, there’s a tool that protects you from any risk of data recovery and that is iMyFone Umate Pro, it completely wipes your iPhone clean and no hacking tool can recover the data so your information is 100% safe. It’s the best solution to how to reformat iPhone safely and completely. You can reformat your iPhone in mere minutes using iMyFone Umate Pro. It can completely erase iOS with no possibility of recovery. All messages, contacts, call history, photo, and video browsing data, as well as account information, will be completely erased. It will wipe all third-party apps such as WhatsApp, LINE, Kik, Viber and any other that you may have downloaded. It secures your confidential and sensitive data when you want to sell or give your phone away. Step 1: Download and install iMyFone Umate Pro on your PC or Mac. 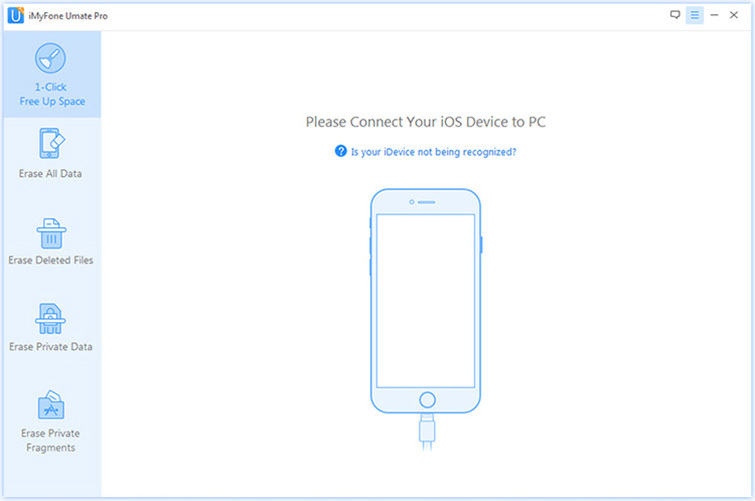 Connect your iPhone to your PC or Mac. 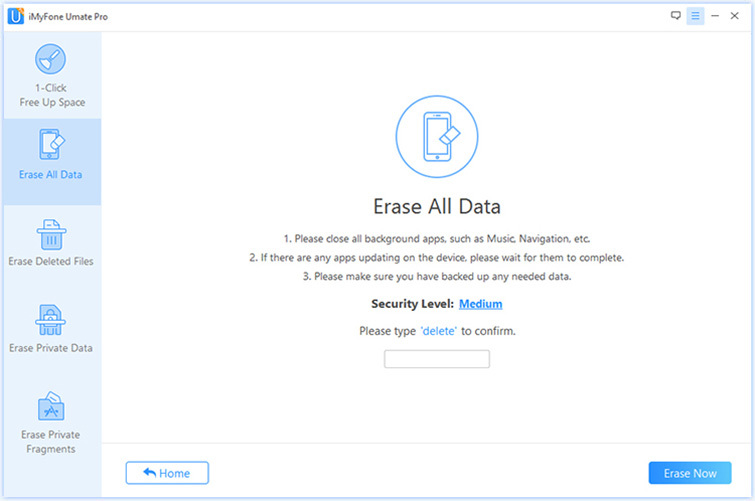 Step 2: Choose the Erase All Data mode and click on Start to continue. Step 3: Choose the security level and them type delete to confirm. Step 4: Click Erase Now and wait a second, your iPhone will be reformatted completely and all your data will be gone forever. Should I Use this method? Is It Safe for My iPhone? Formatting your iPhone using iMyFone Umate Pro is the most reliable method you can use. Here are the reasons why you should apply such tool to reformat iPhone. It would not do anything to your iPhone but only helps you to reformat your iPhone. It is very easy, no additional skills required because of the user-friendly software. iMyFone Umate Pro protects all data on your iPhone with no chance of recovery. It has been praised and recommended by millions of users. You can also format your iPhone from the Settings on your iPhone. It’s quite simple when you know how, but the data is erased and can be recovered. Although using the settings on your iPhone to format it is not 100%, it is a fast and easy way to wipe your phone. You can make your iPhone feel brand new. However, it is suggested to use a tool like iMyFone Umate Pro to protect your iPhone and your personal data. Step 1. Go to “Settings” and touch on “General”. Step 2. Scroll down to the bottom of the page and touch on “Reset”. Step 3. Touch on “Erase All Content and Settings”. Step 4. 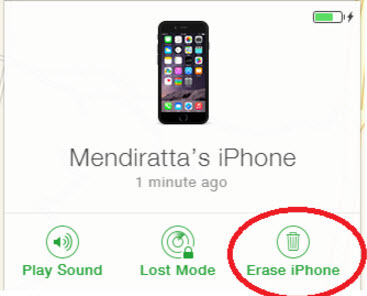 Enter the password of your iPhone if you have set one previously and touch “Erase”. It’s not the safest way to reformat iPhone, because all the data erased can be recovered. So your personal information is still in risk. Step 1: Open iTunes and ensure you have the latest version on iTunes installed on your PC or Mac. Step 2: With a USB cable, connect your iPhone to your computer (PC or Mac). Step 3: Select your iPhone when the icon appears on the iTunes screen. Step 4: Click on “Summary” then click “Restore iPhone”. Step 5: Click on “Restore” on the confirmation screen. This is the least recommended method due to its unfriendly user experience. It has a lot of step to perform such a task and it may cause unknown errors. The data erased by it can be recovered by other means too. You may need to reformat your iPhone for several reasons. If you want to let go of your iPhone (donate, gift or sell), it is important to erase all your data permanently so you can rest assure d your identity or sensitive information do not fall into the hands of cybercriminals. The only way to do this and be 100% certain your information can’t be recovered is to use iMyFone Umate Pro. This way, you can rest assured your good deed doesn’t come back to haunt you. 3. For a Stolen iPhone Can They Access My Data?